This little film highlights the starting points for our work. Our work continually crosses the boundaries between artists and citizens, professional and non-professional artists, public services and us all – in order to deepen a common understanding of ‘social engagement’ through placing the process of art at the heart of conversations and what we do. The ‘and’ is important. It is not Arts For Society or the other way around; both have their own value and enrich the other. It is also about the role the artist has as a citizen within the context of the radical need for change. Arts and Society was co-founded by group of artist/producers with diverse backgrounds and from different parts of the U.K., each committed to arts and creativity being at the centre of everyday life. We are seeking to establish a group of associate partners to join us in creating new work. 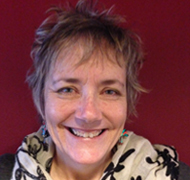 Annie brings a wealth of experience to Arts & Society having worked with WOMAD for over 25 years, as curator, special projects director, visual arts researcher and most recently as director of the WOMAD Foundation. She has worked with a range of partners nationally and internationally in Australia, South Africa, South Korea, Malta and Abu Dhabi and has extensive experience of visioning and delivering high quality multi-disciplinary programmes. Her work with Arts & Society draws on a wide-ranging practice from textile research in Nigeria, lecturer in ‘Arts and Social Context’ at UWE, to co-founding ‘Vizability’ a ground-breaking arts organisation working in the field of public arts and community engagement. Jocelyn has been a theatre maker in the UK and Canada for over 25 years, which has fundamentally shaped her approach to collaboration within strategic arts based work in civic spaces. She was Director of Creative Partnerships London North before joining the RSA as Director of Arts where she developed the Arts and Society programme alongside Georgina Chatfield. She led on the Arts and Social Change programme of the RSA’s Citizen Power:Peterborough and wrote the RSA publication, Knitting Together Arts and Social Change. She currently leads a team evaluating the East London and City Cultural Partnerships for the Barbican Guildhall and sits on the Advisory Panel of the Research Council’s programme, Connected Communities. 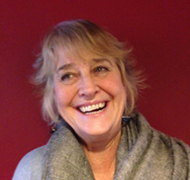 Jocelyn is an Associate partner of the RSA and leads on Arts and Social Change Wiltshire. Georgina has over a decade of experience of working in the arts in strategic and curatorial roles, alongside artists, arts managers and community groups. She has a deep interest in what it takes to encourage and enable communities to engage with and alongside artists and the arts and how the value of the arts is captured and articulated. She has worked in policy, management and delivery roles across a range of art forms for the RSA, Arts Council England, Up projects (public art) and in partnership with many local authorities. Her role as the creative economy lead in the North East and then in London for Arts Council England has enabled her to develop a broad knowledge of this aspect of the sector. 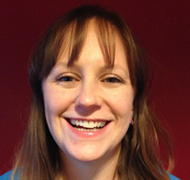 Georgina is the Programme Manager for the RSA Academies. Malaika’s work spans across the arts, academia and local arts development in Sheffield. 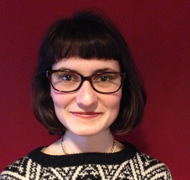 She is a research associate of The Crick Centre, recently leading on an Arts and Humanities Research Council’s Cultural Value Project exploring the potential of participatory arts to encourage political participation with young people. Malaika is artistic director and co-founder of Sheffield-based theatre company The Bare Project with work commissioned by the Galvanise and Off the Shelf Festivals and Sheffield University. The company’s most recent project, ‘Time Passes. Listen’ was in partnership with Writing Yorkshire and Theatre Delicatessen and funded by Arts Council England in 2014. She also initiated and facilitates What Next? Sheffield in partnership with the Sheffield Cultural Consortium and Sheffield Theatres. She is a founding board member of the Sheffield Creative Guild and has recently been selected as a Clore Emerging Leader.